Happy New Year, all! 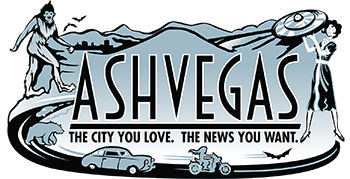 Here’s the first of an occasional new series of posts that will focus on Asheville City Council. It’s a new year, with three new council members, so what better time to start. -Asheville City Council may allow slow-speed electric vehicles to shuttle people around on the streets of downtown. Council will consider granting a franchise to a business called Land of Sky Shuttle at its Jan. 12 meeting. Dale Degraffenreid of Asheville is the business owner. The idea is to cut down on traffic congestion and the need for parking by allowing this shuttle service to operate four-wheeled electric vehicles that travel between 20-25 mph. The city is adamant that the vehicles are not golf carts. The shuttle service would run seven days a week and hit various points of interest, including hotels, according to the city’s run-down of the proposal. A WLOS story last year said that Degraffenreid planned to charge people by the distance they travel, and that he planned to operate a cart that could seat up to eight people. -Will approvals for certain development in downtown Asheville get a little stricter? It’s likely. Asheville City Council will hear a staff report at its Jan. 12 meeting that outlines how the approval process goes now, as well as suggestions for how to expand City Council review. -Keep up with Asheville projects up for bid on Twitter at twitter.com/ashevillebids. -Keep up with Asheville government job opportunities here. -Here’s the full Asheville City Council agenda for Jan. 12. I hope whoever they hire as the Coordinator of downtown is actually from Asheville and cares about the charm we are trying to preserve. No, I don’t know where you can pee. Next! No, Thomas Wolfe is not still writing novels. Next! Certainly. A little closer on the left.. OK, fine – everybody smile. You’re welcome. Next! No, I’m afraid I don’t sell maps to Tom Cruise’s house. Next! Whoops, stand back! That was close. Hotel almost landed right on you, didn’t it? Next! Please don’t vomit there. Next! “Cesspool of Sin” t-shirts, marked down to $20! Get your t-shirts here, $20!! Next! As a good friend pointed out, if downtown development becomes too strict, the only folks left with the appetite (and the cash) to deal with the bureaucracy will be the big chains.